Our clients choose Clayfield Property Management to manage their rental properties in Clayfield, because we provide a full range of property management services, including marketing, advertising, applicant screening, rent collection, resident management, and property maintenance. As a full-service residential property management firm in Brisbane, we offer the most comprehensive and cost effective Residential Property Management Clayfield solutions. Real Property Management is one of the industry leaders providing innovative processes and systems which are managed by a professional and well-trained staff of experienced managers, maintenance technicians, and accountants. Through our experience, our knowledge of the Clayfield real estate market, and our excellent customer service, Real Property Management suburb provides stability and security in the often-challenging world of investment property ownership. One of Brisbane’s more prestigious suburbs, Clayfield is located about 7km north-east of the CBD, near Ascot and Albion, and is home to many superbly restored Queenslanders. The suburb has seen the growth of medium density units, resulting in a strong rental market capitalising on the close proximity to the CBD, the airport and major transport routes. Despite this, housing still makes up the majority of accommodation in the area. The Royal Brisbane Hospital is approximately 15 minutes away and there are a number of state and private schools in the area catering for both primary and secondary school children, including the private girls’ school Clayfield College. Toombul Shopping Centre and Nundah Village are the closest major shopping centres, with Westfield Chermside – the largest regional shopping centre in Queensland – a 20 minute drive away. 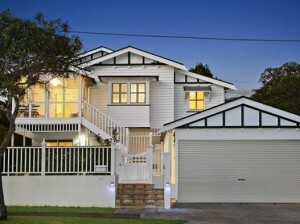 The suburb has a lively cafe lifestyle and is close to Racecourse Road and the Eagle Farm and Doomben Race courses. The revitalised restaurant district at Albion also offers residents a good choice of cuisine. Public transport includes the train line with stops at Clayfield, Albion, Woolloowin, Eagle Junction and Toombul. Bus routes are also available and residents also have easy access to the airport and Gateway Arterial. 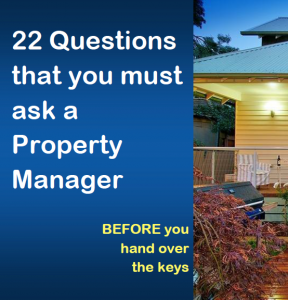 Real Property Management Australia are Clayfield Property Management specialists.